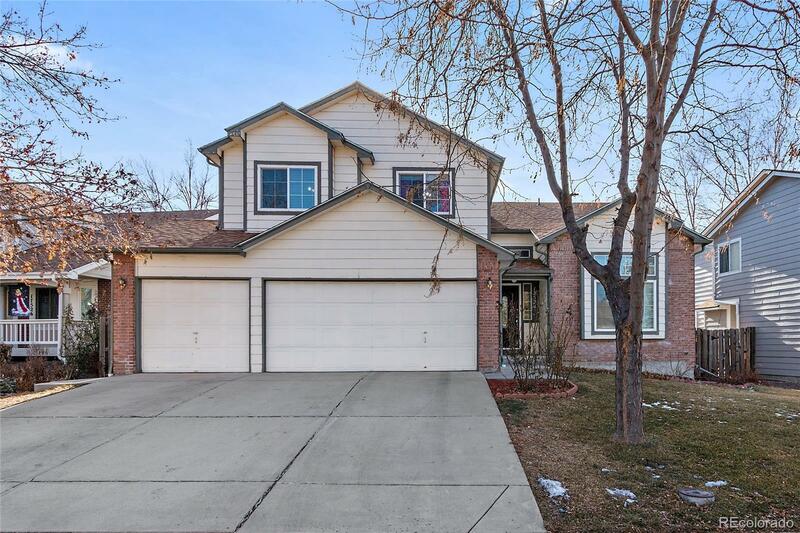 Welcome to this beautiful 2 story home in the Country Lane neighborhood! When you enter, you will be greeted with a soaring vaulted ceiling and gleaming hardwood floors which leads you from the spacious living room to the elegant dining room. The kitchen features granite counter tops, pantry and breakfast area. Curl up in the family room (vaulted ceiling!) around the fireplace on those chilly Colorado evenings. Retreat upstairs to the master bedroom with the 5 piece bathroom and walk in closet. Also upstairs are 2 more bedrooms and another full bath. The basement is nicely finished with a 4th bedroom, 3/4 bath, full kitchen area and tons of space for a playroom or media room...also great for live-in guests or family members! Step outside through the french doors onto the patio to enjoy the fenced backyard. The three car garage has plenty of room for storage for your favorite outdoor toys. You're also close to restaurants and shopping. You'll absolutely love it all!